Online music store 7digital is offering Oasis' new album in FLAC format a full two weeks before any other retailer. The company has been given exclusive rights (for a fortnight) to flaunt Dig Out Your Soul in FLAC form, something that will no doubt please audiophiles everywhere. FLAC is a lossless format (standing for Free Lossless Audio Codec) so it relays the music, as intended by the musician – unlike MP3, which uses compression. 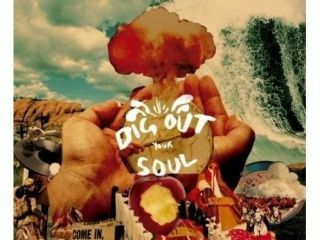 Not that 7digital is forgetting about MP3, as it is offering the album in this format on release day to those who purchased Dig Out Your Soul for no extra charge. The FLAC album will contain 11 tracks and be priced at £9.99 or £1.49 per track. The official release for Oasis' seventh album is next Monday (6 October), with 7digital offering the lossless download on Sunday 5 October. Although the likes of iTunes will have the Oasis album on Monday – it will only initially be available in the AAC format. Speaking about the FLAC offer, Ben Drury, CEO of 7digital, said: "This is a very important release for us. 7digital.com aims to offer the best deal for consumers in terms of accessibility with MP3 music, and the best sound quality with FLAC. "By releasing this album on both formats we are offering our customers the choice to listen to their music on the device they want to." While FLAC isn't as popular as MP3, it is an important codec for 7digital, accounting for 35 per cent of the site's sales of Radiohead's In Rainbows. 7digital hit the news recently, as the first website in Europe to offer a 100 per cent MP3 catalogue for all four of the major music labels.